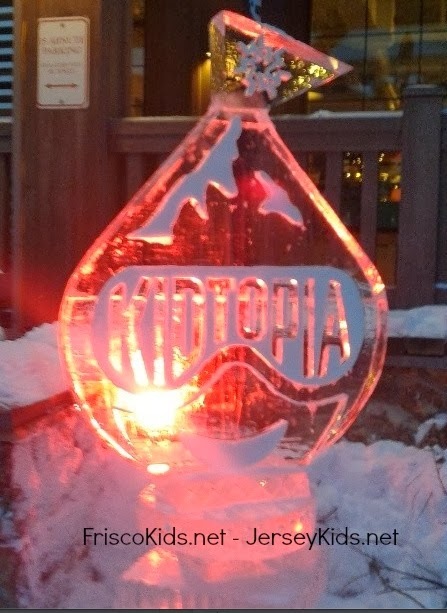 You'll see the Kidtopia logo in various spots - kind of like finding Hidden Mickeys. 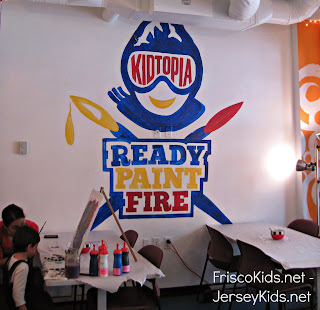 Keystone just opened up their Ready Paint Fire studio in December, 2013. It's in the Kidtopia headquarters in River Run Village. 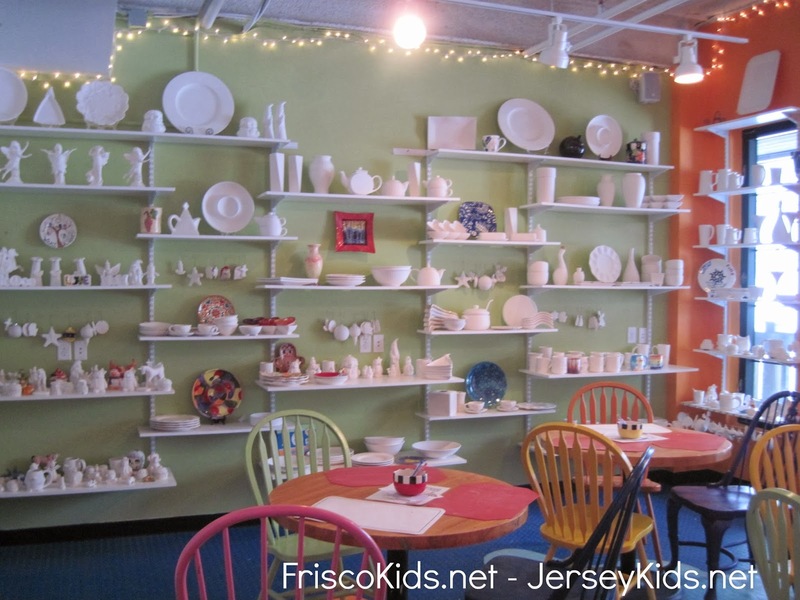 Inside you'll find a pottery studio where you can paint for a $5 studio fee, plus the price of the piece ($5-50). They'll fire it and have it ready to take home in a day or two. 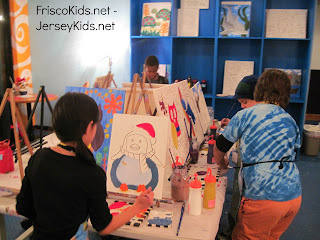 They also have canvases you can paint, for $25. The designs are on there, and you can fill it in with whatever colors you want. They offer specially themed painting parties (both canvas and ceramics) at various times, so check their schedule if you go. The staff was really nice. Kidtopia offers other fun programming, most of which are free. The schedule includes free cookies at 4:00 every day at the Dercum Square ice rink in River Run Village. You can meet their "Avy Dogs" - aka avalanche dogs twice a week, and hear about how the dogs help rescue people from avalanches (not just at Keystone). The dogs are adorable. 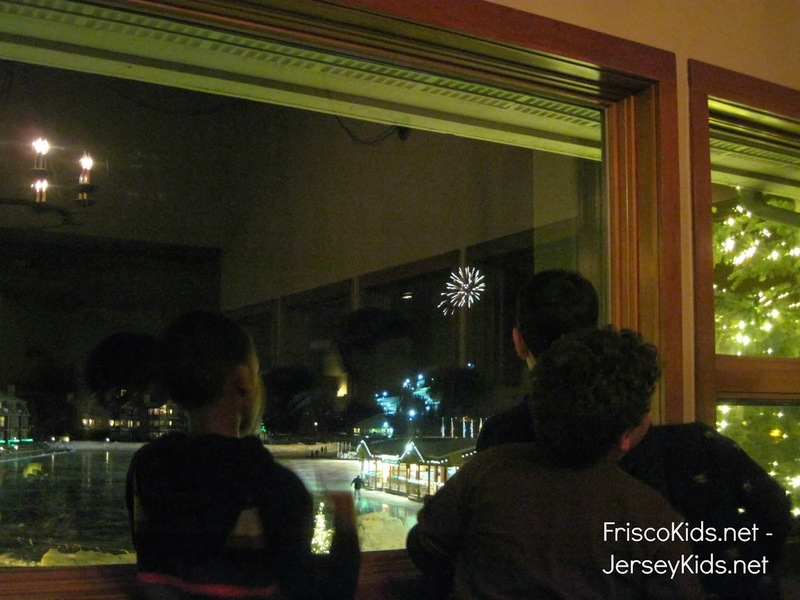 They have free face painting twice a week at the Kidtopia headquarters, a DJ on Saturday afternoons at the ice rink, and mid-mountain fireworks every Saturday night (see picture below). You can also explore the snow fort atop the summit at no cost (unless you aren't skiing and pay to take a gondola up - or go up for paid tubing - see the post on non-ski activities). 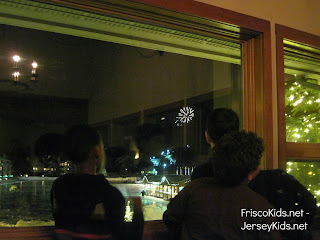 They have free stargazing parties, a "find Big Foot" night walk, and some other events as well. Also on Saturday afternoon apres skiing, is Ripperoo's Village Parade (Ripperoo is their giant mascot dog), with horse-drawn carriages, a float, music, dancing and...free cookies. Check it out below. I missed it because I couldn't drag myself out of the hot tub in time, so at least I got to see it on YouTube! While this is not particularly child-friendly, I did find the basket of free tampons in the lodge restrooms to be very female/mom friendly and appreciated. I'll leave it at that. I've never seen wagons at a ski place before, but we made good use of the gear (and kid) wagons to cart around our ski stuff (and once, our 10 year old), when carrying the gear was too cumbersome. 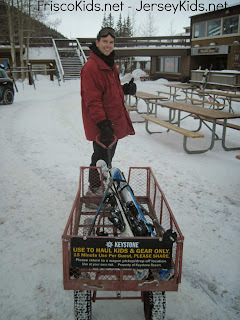 It mean that even the kids could take turns with the ski gear, when I was too winded from the altitude to do it myself. You'll find Keystone Epic photographers (they wear lime green) in various spots around the resort, including the summit, the tubing area, and a few other places as well. They'll scan your lift card and you can get the photos online at their EpicMix site. More on that later, but you can download all photos taken of you for $40. You can share them for free on social media. 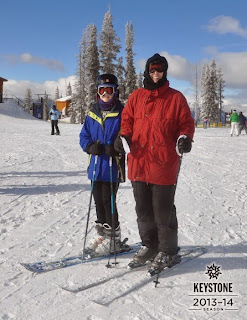 Hopefully you look better skiing than we did. Not the best picture of us! Disclosure: Keystone covered our lodging, ski costs and some meals. As always, all opinions are my own.